Massage Spa NJ – Massage therapy can, and should, be an important part of your healthy and well-rounded lifestyle. Our massage spa therapist will use a variety of strokes and pressures, as well as a movement in the joints. 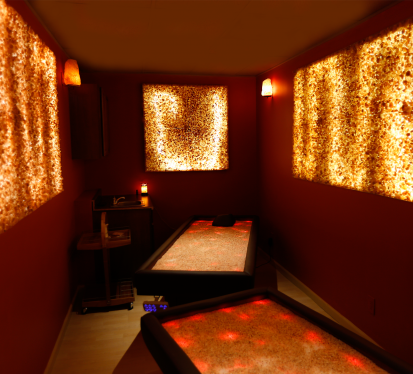 Lana’s Organic Day Spa offers an array of massage spa therapy techniques and styles such as Aromatherapy Massage, Hot Stone Massage, Swedish Massage, Deep Tissue Massage, Cupping Massage, Couples Massage and Lymphatic Drainage Massage. Massage therapy can, and should, be an important part of your healthy and well-rounded lifestyle. The most common of all massage spa therapies offered at Lana’s Organic Day Spa is the Swedish Massage. Our massage spa therapist will use a variety of strokes and pressures, as well as a movement in the joints. The combination of movements relieves muscle tension and can be both relaxing and energizing. The Swedish Massage is a great introductory massage for anyone who is new to massage and simply wants to feel better. Lana’s Organic Day Spa is a massage spa conveniently located in Cliffside Park, NJ. We offer luxurious massage spa packages such as Aromatherapy Massage, Couples Massage, Cupping Massage, Deep Tissue Massage, Hot Stone Massage. and Swedish Massage. 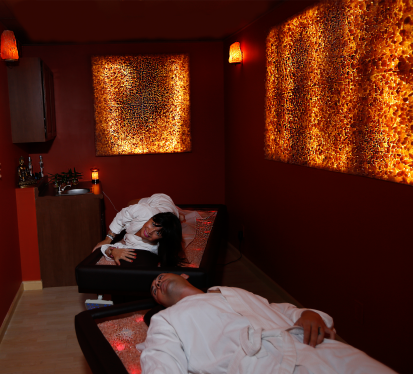 Lana’s Organic Day Spa offers a variety of Massage Spa Packages. The most common of all massage spa therapies offered at Lana’s Organic Day Spa is the Swedish Massage. Our massage spa therapist will use a variety of strokes and pressures, as well as a movement in the joints. The combination of movements relieves muscle tension and can be both relaxing and energizing. The Swedish Massage is a great introductory massage for anyone who is new to massage and simply wants to feel better. Another common massage spa therapy offered at Lana’s Organic Day Spa is the Deep Tissue Massage. This is a great selection if you are experiencing soreness after a workout, slept wrong, feeling knotted from sitting at a desk all day, or you just have some “trouble spots” from everyday activities. A Deep Tissue Massage involves slow deliberate strokes that will focus pressure on the layers of muscles, tendons, and other deep tissues under the skin. This massage, can be an ideal addition to your regular therapeutic massage routine or used throughout the year when you are experiencing extra stress or conditioning. It’s easy to consider a massage when you are in pair or feeling tension. Massage spa therapy is an important part of regular bodywork for maintaining healthy muscles and overall well-being. Try adding a monthly massage to your health plan and see how it will help you meet the challenges of a demanding lifestyle. Not only will a massage help you relax and de-stress, you get the added benefit of improved circulation and a boost to your immunity. Our massage spa is convenient to Bergen County NJ. Call (201) 313-8655 to schedule your Spa Massage today!